The ‘Middle East’ conjures images of sand dunes and camels, Bedouin tents and silken pillows with gold tassels… but when you arrive in Dubai, the jewel of the United Arab Emirates (UAE), the first thing that hits you, aside from the very hot, humid weather, isn’t the desert. It’s the vast skyscrapers and the cosmopolitan atmosphere. Dubai is a melting pot. It is home to many nationalities from all parts of the world and a place where you can walk down the street and not feel completely out of place. 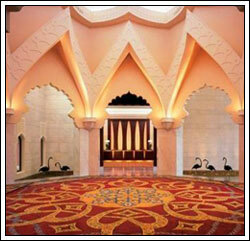 There are stories that Dubai really got its start from the pirates and smugglers who sailed the seas in ancient times. Perhaps it’s true… Maybe not. But what I know for a fact is that Dubai is made up of a fearless people who have deep pockets, big dreams and a generous, hospitable attitude. When you think Luxury, think Dubai. If you’re planning a trip to the Middle East, you’ll definitely want to stop over in Dubai. Plan for at least a ten day stay. Anything less won’t be enough and if you can spare more time, you’ll certainly want to. Cruise down the Dubai Creek in a local wooden dhow. The dhows are used for transportation and trade among many other things. Buy some jewelry at the Dubai Gold Souk – the choice and glitter of the designs is boggling and the prices are really great too! Dine in the revolving restaurant on top of the Hyatt Regency hotel in Bur Dubai. You’ll get a panoramic view of the city. It’s beautiful. Visit the Burj Al Arab, a seven star hotel designed to resemble a billowing sail. The Burj is known as the world’s tallest hotel and stands on a man-made island. Arrange for a helicopter ride to view the budding Two Palm Islands not far from the Burj Al Arab. Go wadi bashing in the desert. It’s a sport on its own! Plan to spend a few days just visiting all the different shopping malls. Dubai has plenty — in fact, it’s known as the shopping hub of the Arabian Gulf and it certainly deserves the title! Take a camel ride and camp out in the desert under a blanket of stars, enjoy a delicious barbeque followed by a titillating belly dance performance! For a real taste of Islamic art, visit the Jumeirah Mosque, one of the most beautiful ones I’ve ever seen. Attend the races at the Nad Al Sheba for a thrilling experience! They host the richest horse race held anywhere in the world – the Dubai World Cup. If you enjoy golf, you’ll want to put aside a couple of mornings for that. The Desert Miracle, home of the PGA European Tour, hosts two of the city’s finest must-see courses. The Dubai Creek Golf & Yatch Club, (one of my favorite places for lunch) is a gorgeous resort incorporating a championship golf club, marina, more than a few high-quality restaurants, several high-end residential villas and the Park Hyatt Dubai Hotel. 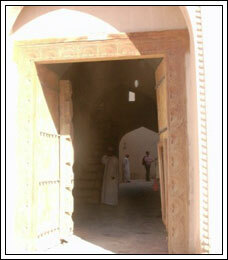 Hop over to neighboring country of Oman (it’s not far) and visit the city of Nizwa. There’s a really impressive 17th century fort there you won’t want to miss seeing. It’s known to the largest in the Arabian Peninsula. You’ll want to visit the 16th century Portuguese-built forts of Jalali and Mirani that stand guard at the entrance of Muscat Bay. The natural springs of Thowarah. The oases of Fanjah and Birkat Al Mauz. Visit the neighboring Emirate of Al Ain, known as the Garden city, ringed by red golden sand dunes. You’ll also want to visit the neighboring Emirate of Sharjah, known as the Pearl of the Gulf. A premier destination known for its impressive architecture, Sharjah is home to the King Faisal Mosque, reputed to be the largest in all of the Emirates. 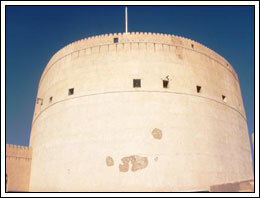 Also add to your list a visit to the Fort of Sharjah where you can view the residence of the ruling family, built in 1820. 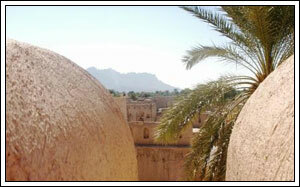 Ask the concierge at your hotel about places like Hatta and Khor Fakhan. Hidden away in the mountains, these little towns aren’t necessarily on the maps with the large tour guides but if you can find someone to drive you up, you’ll enjoy another taste of the true flavors of United Arab Emirates. You can have a lot of fun in the UAE if you’ve got the time to truly enjoy the Arabian experience. The sights are breathtaking, the luxury is addictive and the people are fantastic and very hospitable. It’s sure to make you want to stay forever!